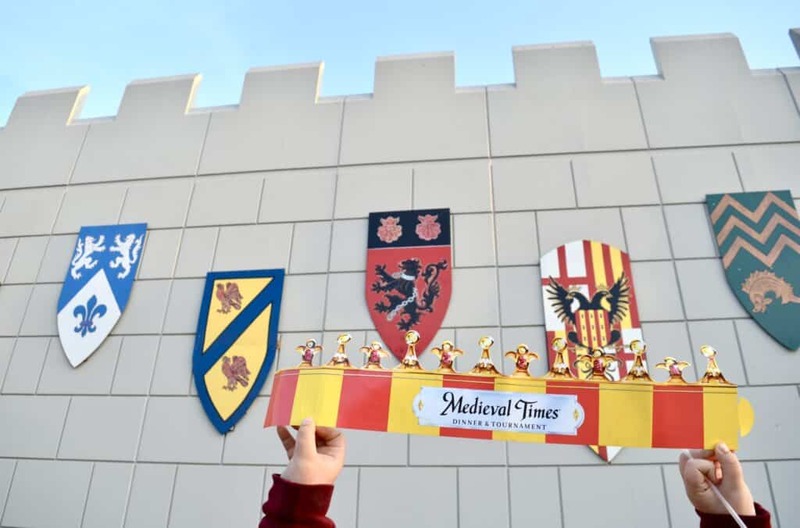 We have been to Medieval Times several times in the past (check out these educational tips when visiting!) but this time was special for several reason! It was my daughter’s first time going, AND it was my son’s 12th birthday! 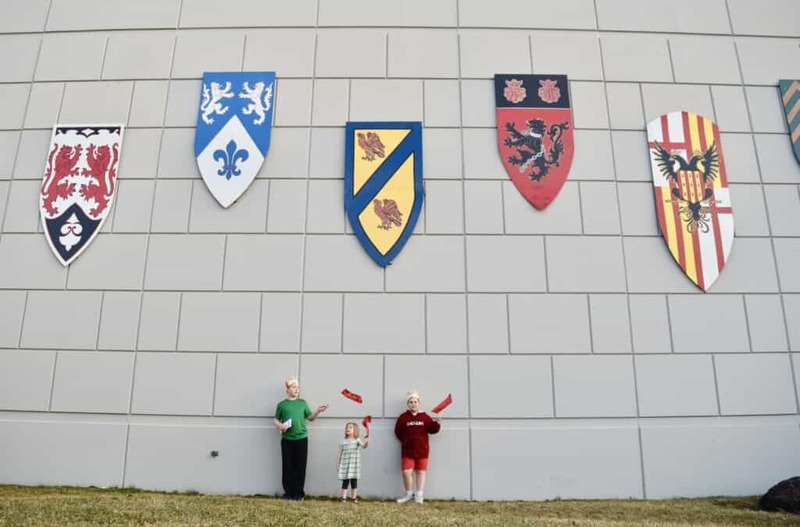 It was great timing since Medieval Times provided us complimentary tickets to visit! 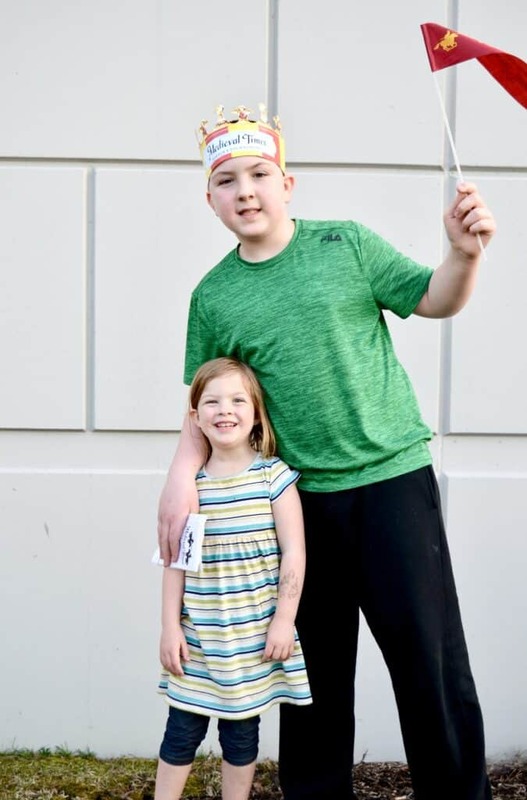 Both my son and I have gluten and dairy allergies (which I didn’t realize on our previous trips several years before) so I was a little nervous about navigating food allergies at Medieval Times. 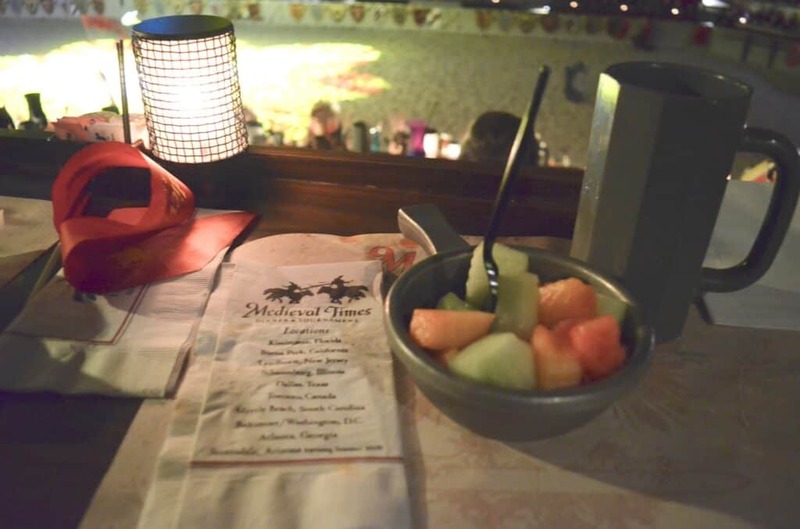 I read a LOT of reviews on TripAdvisor about eating at Medieval Times with food allergies and was pleasantly surprised to find out that Medieval Times ROCKS at being allergen friendly! *Disclaimer – as with any allergy situation, please always contact the location you will be visiting and verify any information you find online! Menus can change at any given time so you always need to verify allergen information with your individual location. I called headquarters to find out more information about their food ingredients! Below I talk about gluten and dairy allergies because that is what we have. 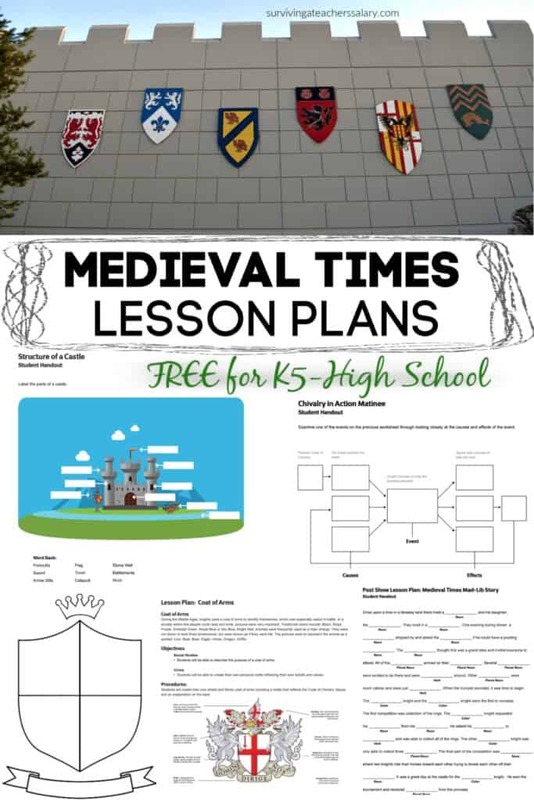 TEACHERS & Homeschoolers: Did you know that Medieval Times has FREE Lesson Plans for Kindergarten through High School!? Get them HERE! They also offer special field trip pricing! I HIGHLY recommend calling Medieval Times at 1-866-543-9637 for any food allergy questions or other issues you may be wondering about! They were incredibly helpful and it’s always good to verify information before you go! I also HIGHLY recommend you let your server know when you are at the castle about any food allergies in your party! I found them extremely knowledgable and helpful when it came to our food allergies! We were offered additional food or substitutes on anything we could not eat. When I visited Medieval Times there was only one thing to watch our for when it comes to eating dairy free – the ice cream dessert! 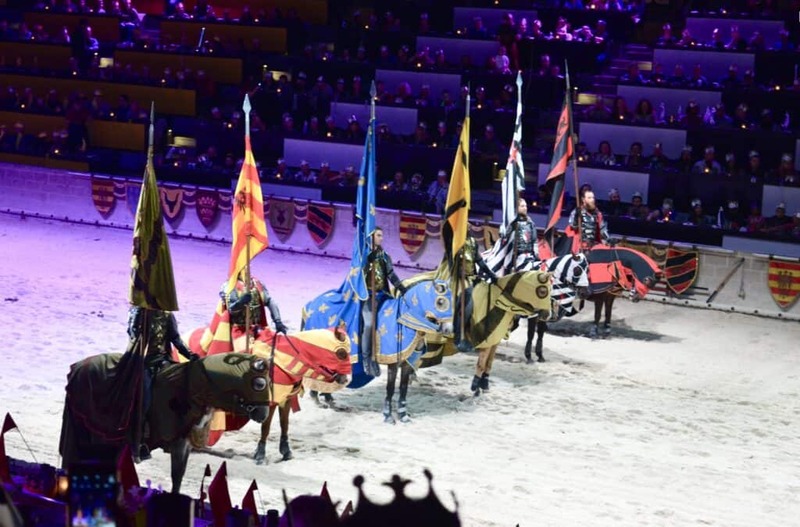 Now I will say this, I’ve been to Medieval Times several times and had different desserts SO as I mentioned before, always call ahead of time AND let your server know! **NOTE – the night I visited I was told that the ice cream was LACTOSE FREE SO if you’re just intolerant then you might be able to have their ice cream! I was offered a bowl of fresh fruit as an alternative for dessert. All of the butter used during the dinner was made without dairy ingredients! YUM! The biggest thing to watch our for when eating gluten free is the garlic bread! And of course, if there is a cake at dessert then that as well. Let your server know! I was offered a bowl of fresh fruit as an alternative for dessert. Probably not unfortunately. Ask your server for verification of course but being gluten free and dairy free it was a no go. They did, however, offer a giant bowl of fresh cut fruit – and let me tell you, it was piled high! I couldn’t finish it all but it sure was tasty! MILITARY Families – Learn more about Military discounts & perks here! I’ve never been to Medieval Times when it wasn’t packed with people. And I’ve never been when it wasn’t bright and primed for photo opps. But that’s part of the ambiance and sometimes it’s OK to just enjoy being together without being stuck behind a camera! If you want to see some stunning images of the show check out my previous post here. Although I always snap photos inside of the castle because it’s pretty awesome, my best photos always come outside of the castle! 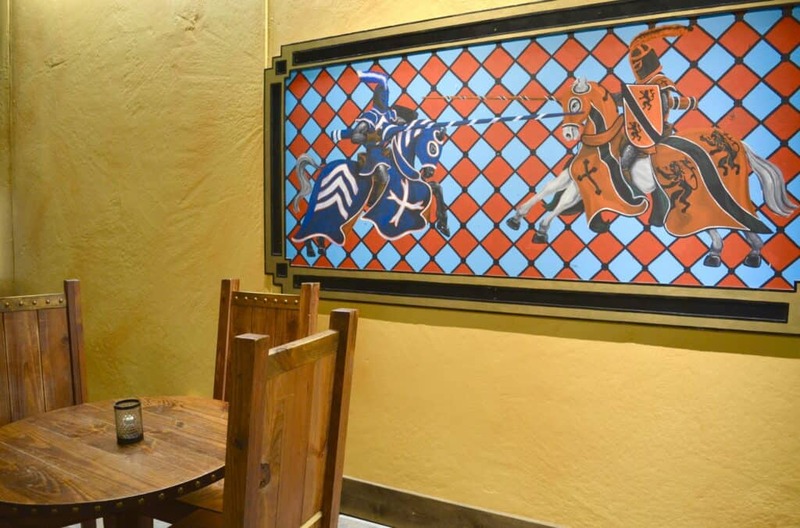 The great thing about Medieval Times is that it is HUGE and every side is decorated! If you walk to two of the sides there’s usually NO ONE there. Or if you hang out 15 minutes or so after a show most people have left for the day and you’ll have a wall all to yourself like we did! My kids spent about 30 minutes just running around like crazy having a blast! Except for a few photos, I recommend taking horizontal photos against the side of the castle wall! It really amplifies how GINORMOUS the castle walls are!